In Loving Memory: Sadly, this animal has now passed away. 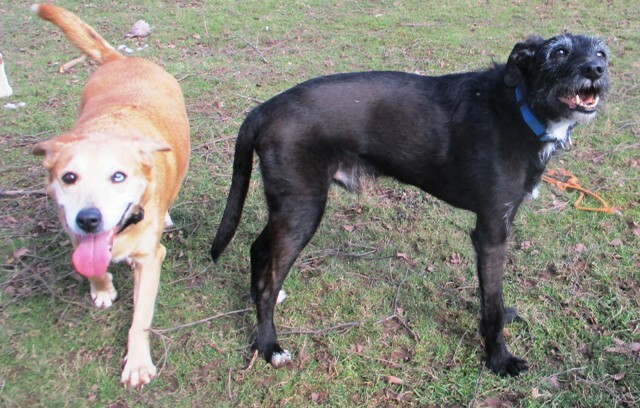 Storm is a 13 year old Whippet Lurcher boy who is with Wonky Pets Rescue with his best friend, Breeze. Storm would dearly love to find a home with Breeze and they are currently in foster care in Swadlincote, South Derbyshire. Storm is a super old boy, who trots along so elegantly that he looks like a little dressage pony! 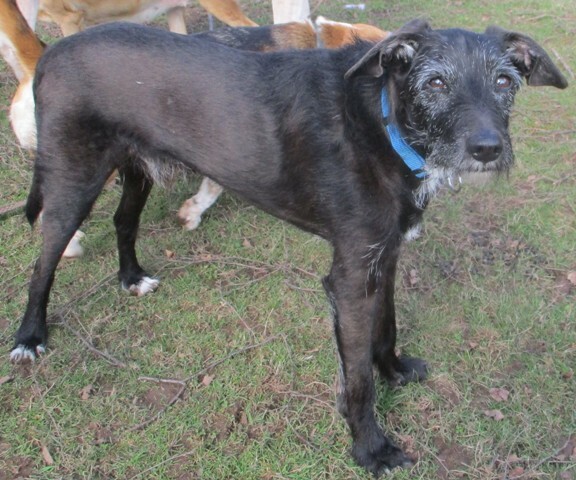 He’s a really quiet, unassuming lad and is no trouble at all in the home. He’s well mannered, spotlessly clean and lovely around children. He would fit very well in a family home with gentle dog-savvy children (aged 6 years +) who won’t pull him around. Storm loves his walks and is great off-lead. He loves being outdoors, so would appreciate a home with a garden where he can potter about and catch a few rays in the summer. He travels okay in the car, but it isn’t something he’s done on a regular basis so can get a little anxious to begin with. Storm is good with cats, and he ignores other animals. He’s been a perfect gent with the other dogs in his foster home, but can be a little vocal with others when he’s out and about on the lead. The rescue thinks this is because he’s a little protective of Breeze. If Storm isn’t rehomed with Breeze, he will need another calm female canine companion as he has always lived with other dogs. Storm is neutered, vaccinated, microchipped and has been flea and worm-treated. He’s also had a dental. 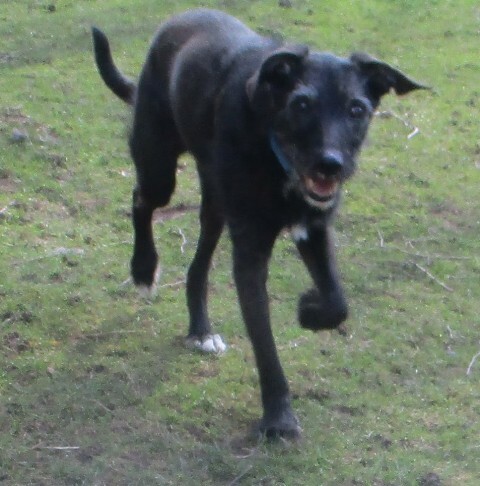 Please mention that you saw Storm on the Oldies Club website.